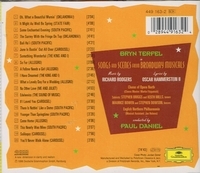 “Winner of the Lieder prize at the 1989 Cardiff 'Singer of the World' competition AND Gramophone magazine's 'Young Artist of the Year' for 1992, Welsh baritone Bryn Terfel has proven himself in a wide variety of repertoire, including all three baritone roles in 'Don Giovanni'; English songs and orchestral works; lieder; and many operatic rôles. 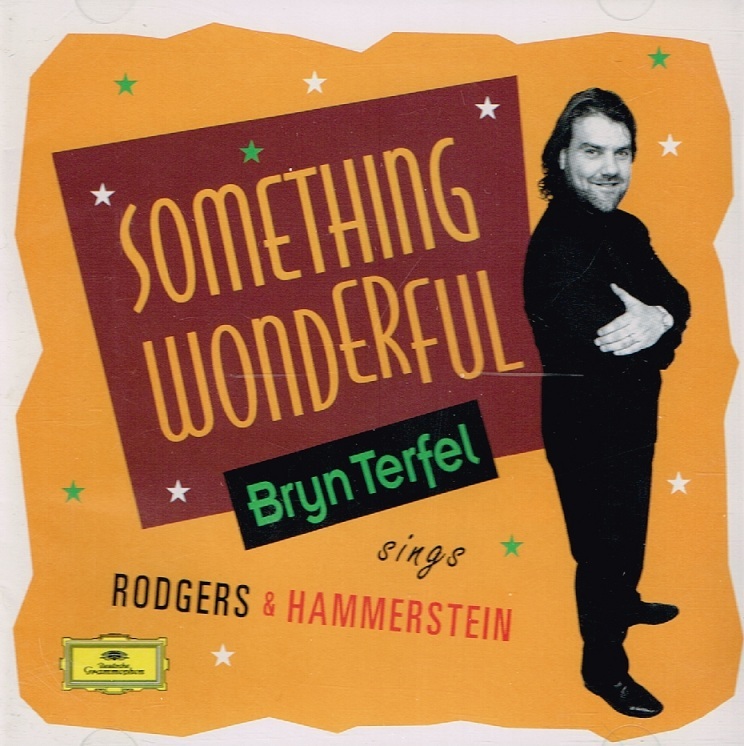 SOMETHING WONDERFUL, which received a 1997 Gramophone Award, shows Terfel completely at home in the American musical theater by way of the songs of Richard Rodgers and Oscar Hammerstein II. 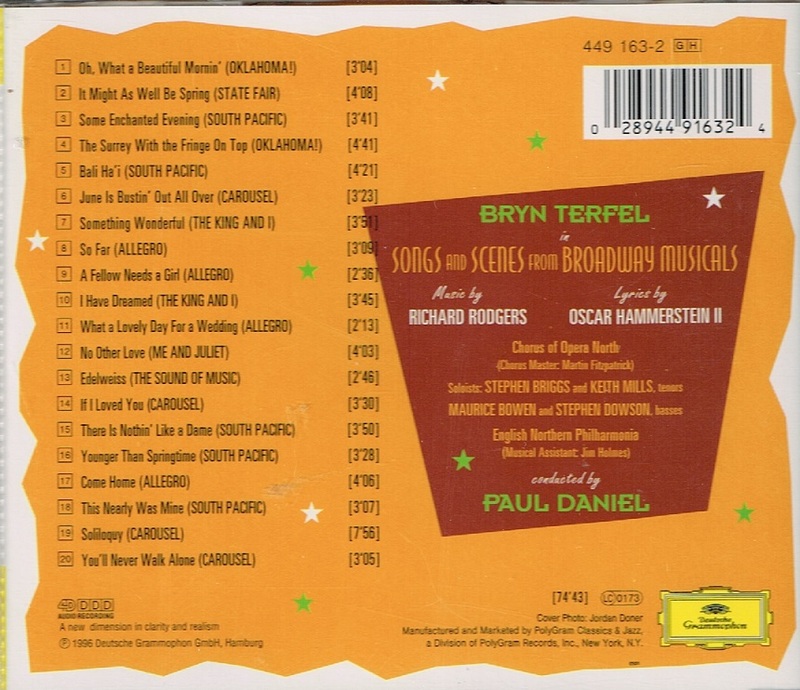 The program is drawn from seven of Rodgers & Hammerstein's nine Broadway musicals and includes one selection from the film 'State Fair'. The result is a mix of the familiar—‘Oh, What a Beautiful Mornin’ and ‘Edelweiss’--and the unknown—‘Come Home from ALLEGRO receives its first recording here. Terfel is in fine voice throughout, and his interpretations of the songs are perfectly suited. This is sensitive, thoughtful work by a singer who might well be at home on any of today's musical revival recordings . His commitment to the material is evident in every word, his comprehension of the characters complete.